There are three main ways of using essential oils: via inhalation, topically, and internally. However, we would not recommend using just any essential oil in these three ways. 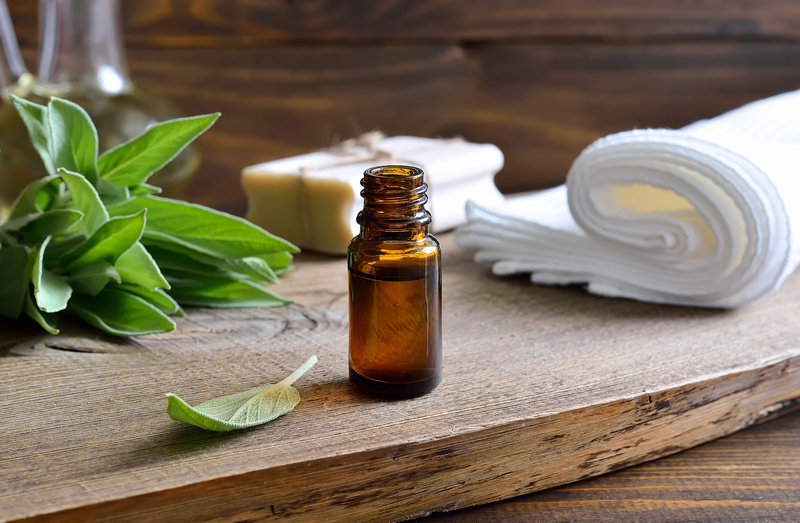 Be sure to read our article on Essential Oil Quality to ensure you understand how to select only potent, pure, therapeutic-grade essential oils. Inhaling essential oils is an ideal method of using oils for respiratory support and cleansing or purifying the air in the environment. Also, inhaling oils can have profound effects on emotional well-being. What you breathe affects your mood. The nose and olfactory system are closely associated with the limbic system of the brain and can trigger acute physiological and psychological effects. Direct inhalation is undoubtedly the easiest method of experiencing essential oils to uplift the mood and soothe the emotions. You can merely uncap the bottle of essential oil, hold the bottle to your nose, and inhale. Or, place a few drops of essential oil on a cotton pad and put it in an aromatherapy inhaler. Diffusion is the ideal method for experiencing essential oils via inhalation. It can fill the room or your home with an essential oil or blend. You can use multiple types of diffusers. Glass Reservoir — These nebulizing diffusers utilize a glass reservoir which you can fill with essential oil. A huge benefit is that this type of diffuser is almost silent which makes it ideal for your bedside table. Entire Bottle — This type of nebulizing diffusers requires that you attach an entire bottle of essential oil with a small tube inserted into the bottle. This type of diffuser is not silent and can be noisy. Nebulizing diffusers have settings that allow you to control how much oil is distributed as well as how long it will run before turning off. These types of diffusers typically are very effective, have a higher cost than other diffusers, and usually will last longer than ultrasonic diffusers. Ultrasonic diffusers—also known as vaporizing or humidifying diffusers—utilize a small tank that is filled with water. Essential oils are then dropped on the surface of the water. When the diffuser is turned on, a small plate at the bottom of the tank will vibrate at a very fast rate. This vibration causes the water to vaporize. The water vapor will exit the diffuser while carrying the volatile compounds from the essential oils. This type of diffusion is effective for therapeutic purposes although not as effective as nebulizing diffusers. Ultrasonic diffusers are typically more affordable than nebulizing diffusers. They are silent or close to silent while operating. Applying essential oils to the body is topical application. This is a very powerful method of using essential oils. You can apply essential oils to the ears, chest, back of the neck, head, feet, pulse points, and troubled areas. You can also incorporate essential oils into cosmetic products such as lotions, creams, sugar scrubs, soaps, and body oils. Always remember to check the bottle for usage guidance from the supplier and to ensure the essential oil is safe for topical use. It is also recommended to perform a "skin patch test" for essential oils the first time you use them topically. Essential oils should be diluted in a carrier oil before using. Some examples of carrier oils are fractionated coconut oil, jojoba oil, and sweet almond oil. These oils are light and ideal for skin applications. Applying essential oils topically without dilution is often called applying them neat. It is recommended that all essential oils be diluted in a carrier oil. However, you may find that a single drop of certain essential oils such as Lavender, Helichrysum, Roman Chamomile, and Tea Tree are commonly used for neat application in aromatherapy on a targeted area of the body. Some essential oils, such as spice oils, are hot and should be either avoided for topical application or heavily diluted. Hot oils have constituents that can cause dermal irritation or sensitization if not used properly. For infants, a dilution less than 0.50% should be prepared. This equals 3–5 drops in 1 ounce of carrier oil. For children ages 2–5, a dilution less than 1% should be prepared. This equals 6–9 drops of essential oil to 1 ounce of carrier oil. For pregnant or frail/elderly individuals, a dilution of 1.5% or less should be prepared. This equals 9–12 drops of essential oil to 1 ounce of carrier oil. For general use, a dilution of 2.5% to 5% should be prepared. A 5% dilution equals 30–45 drops of essential oil to 1 ounce of carrier oil. All of our blend pages feature a dilution calculator that can assist you with calculating your preferred dilution for a blend. During a Massage — Easily create massage oil with 15–23 drops of essential oil to 1 ounce of carrier oil. Use during the massage as normal. While Bathing — Create moisturizing bath oil with 15 drops of essential oil to 3 tablespoons of carrier oil and then add the desired amount to the running bathwater. To create an infused shower gel, add 3–6 drops of essential oil to ½ ounces of shower gel. For Reflexology and Auricular Therapy — These practices utilize points on the feet, hands, and ears and can utilize essential oils as these points are stimulated. Practitioners use these therapies to achieve the desired result within the various organ systems of the body. There is disagreement in the aromatherapy community as to whether essential oils should be used internally. Only essential oils that are pure, therapeutic-grade, and labeled for internal use should be ingested. Professional guidelines and product labeling should be strictly followed. Ingesting essential oils can nourish the whole body including the digestive system, mouth, throat, and liver. Keep in mind that essential oils are hydrophobic; they combine with oils and separate from water. Because of this, water or water-based liquids are not sufficient to act as diluents for essential oils. Safe dilution practices should always be followed.